See how to change individual track volumes so that you don't risk pre-mastering distortion. Also, learn how the normalization feature works in GarageBand and how pushing track volumes too high can invariably lead to low volume songs when exported to iTunes. And you'll see how to use the AUPeakLimiter feature to keep sounds from peaking. The AUPeakLimiter is a compressor/limiter effect that allows you to set the maximum volume, useful for controlling sound clips. This does not work. I followed all steps perfectly, and the songs are still too quiet, much quieter than even CDs I've imported to iTunes, and CDs are quieter than iTunes store-bought songs. I tried importing the mp3 to ProTools to add more volume, and if I move the volume up just a little bit, it still peaks out, even though it's still quieter than any song in my iTunes. Maybe I should just re-record my whole album in ProTools. I really don't want to do that, though, as the whole thing is done. You can also increase the volume of track in iTunes by right clicking it, pressing "Get info", then going to "Options", then turning up the slider on "Volume Adjustment"
Also, I find that if you just mix it well from the beginning and don't let too much red come up, the track will come out sounding a bit louder as well. 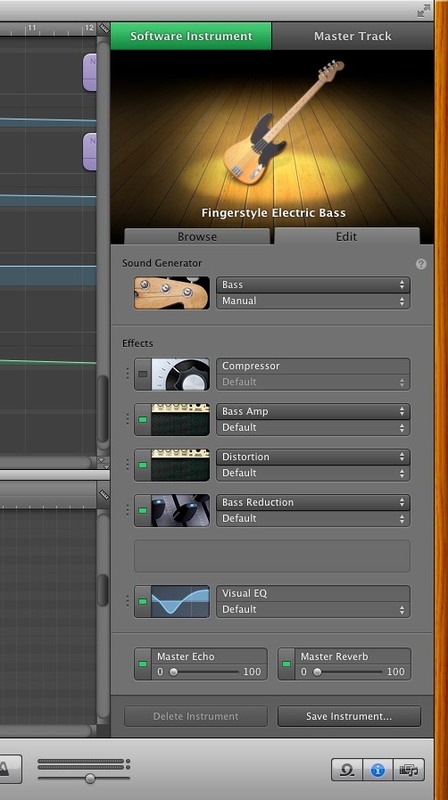 Also, try to add effects to your bass instruments that will not make your bass too loud, such as "Bass Reduction", "Distortion" (turned lower), "Bass Amp" (turned lower), or even "Chorus" in some situations. The reason I say this is that some of the loudest parts of the noise the bass can make are beyond the level that humans can hear at. Thus, by taking off a little of the low end, you can get a track that sounds louder in the final mix. Just a tidbit of advice.